Home › Knowledge Hub › Top tips › How can charities use reddit to spread their message? 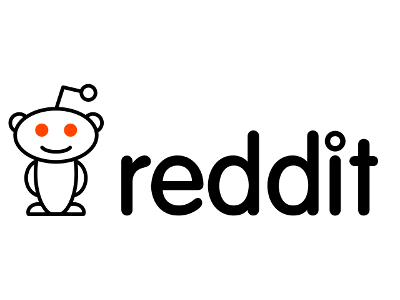 Reddit is the 25th most popular website in the world. And according to CharityComms’ most recent digital benchmark, it drives a surprisingly high number of social media referrals to participating charities’ sites – often ahead of big-hitters such as YouTube, Instagram and Pinterest. So how can charities use it to spread their message? Reddit calls itself ‘the front page of the internet’ and basically works as a massive, global bulletin board – one user will post a link or story and other users will comment on it. If you find something particularly interesting or funny then you can ‘upvote’ it; if you don’t you can ‘downvote’ it. The higher the rating of a post, the higher it appears in the listing. In theory the best, most-liked content should rise to the top (which naturally means half the first page is usually photos of cats). According to Victoria Taylor, director of communications at reddit, the main difference between reddit and other social media platforms is that while Twitter and Facebook, for example, have one-to-many broadcasting models – where you try to get as many followers as possible and continually broadcast your messages – reddit operates on a conversational level, so comments and replies are generally just aimed at one person. But simply posting a link on reddit to work you’ve been doing isn’t going to cut it. Not only will it get removed as a violation of the website’s terms (no self-promotion allowed), but it will probably reflect badly on your brand as it shows you don’t understand how it all works. The easiest, and best, way to use reddit to connect with people is to take part in something called an AMA (Ask Me Anything). AMAs are free and have been done by everyone from Barack Obama to Bruce Lee’s son. They are text based Q&A sessions with the reddit community focusing on sharing interesting experiences. Charities have two options: if you’ve got a celebrity ambassador you could get them to do one that mentions their support for you, or you could get an employee with a particularly interesting role or experience to take part in an AMA on your behalf. They are longer than traditional interviews (reddit recommends setting aside about 1-2 hours). In November, Scope ran an AMA with Breaking Bad actor RJ Mitte, who has cerebral palsy, which received over 2,000 comments and was at the top of the reddit front page for most of the evening. Alex Hazell, digital community and social media manager at Scope says: “It was a great way of starting a wider conversation with RJ's fans which wouldn't have been possible on any other channel. Many of the questions asked were related to disability and, although not an objective of the chat, the AMA also directed a couple of thousand visitors to Scope’s website. If you do have a celebrity ambassador willing to do an AMA for you, you can get the date listed on the reddit website to drum up interest in advance. Save the Children UK ran two AMAs with the aim of raising awareness of Save the Children’s emergency response work. The first was with a humanitarian officer based in Sierra Leone and focused on the Ebola outbreak. Reddit is a bit different to other social media platforms – so take some time to understand how everything works. Anyone can do an AMA, which means lots of them are happening at the same time. If you’ve got an interesting role or experience then it’s far more likely to be a success. People might ask awkward or totally unrelated questions, so be prepared.